You must be aware about Auto message bot. Famous instant messaging app name Hike is providing a Auto message bot under name of Natasha. Following the same trend 3 Gujarati developers has created a bot for whatsapp. WhatsApp Bot, An Auto-reply assistant for your favorite WhatsApp messenger. Getting this WhatsApp virtual assistant for your WhatsApp is simple and easy. This Bot will help you to get latest updates like cricket score, weather update , share market news and many more. Here’s how you can activate this Bot, scroll down and follow below given steps correctly. 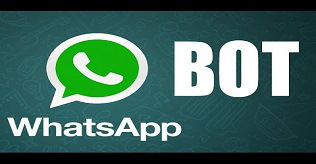 Click On New Message and you can see contact appearing in your list of WhatsApp numbers. @currency : Live Indian Currency Conversion . @stock : Live SENSEX – NIFTY . @shayari : Random Shayaris . @jokes : Funny jokes . @pnr : Indian Railway . @aajtak : AajTak (Hindi News). @akila : Akila (Gujarati News) . @bhaskar : DivyaBhaskar (Hindi News). @googlenews : Google News (English Language). @cricket : Cricket Score . @acpcmerit : ACPC Merit Rank Predicator .